Most of us spend a lot of time at work each and every day answering emails, taking phone calls, attending meetings, organizing spreadsheets, and doing countless other responsibilities. In between, or perhaps during some of these activities, we may be engaging in other behaviors that have now become everyday habits. Some of which may be damaging your teeth. Join the team at our dental office in Boerne as we cover some of the most common workplace habits that are harmful to smiles. Nibbling on the end of a pen or pencil is usually done subconsciously or when deep in thought or nervous, but it’s a habit that can wreck teeth. The tough texture of writing utensils can break or crack teeth which can be painful and will most certainly require restorative dental care. If you find yourself putting your pencil or pen to your mouth regularly, consider replacing it with an alternative like carrots or celery. Keeping a small bag of these healthy veggies handy can help satisfy your need to nibble on something. As we eat, the bacteria in our mouths break down the food particles left behind and then produce acid as a byproduct. This acid is what eats away at the protective tooth enamel and leads to decay. 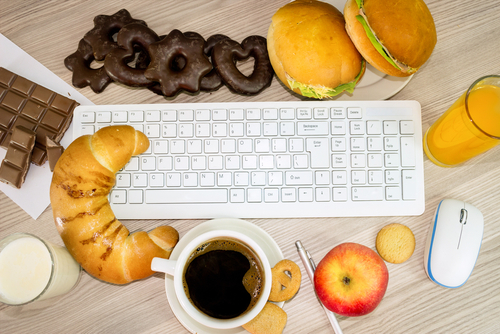 When we snack throughout the workday, it leaves teeth constantly exposed to this acid, especially if you don’t brush in between snack sessions, and increases the chance of cavities. Need to open a package that’s sealed a little too tight? Or maybe you need to send the package and need help ripping the tape to secure the box shut. Whatever you do, don’t use your teeth as tools. Using teeth to rip, tear, or hold objects can chip your teeth and wear away at enamel, leaving teeth exposed to decay. We know you probably know this already but it’s worth repeating. Smoking is detrimental to both your overall health and oral health. Smoking as well as using smokeless tobacco greatly increases the risk of oral cancer, gum disease, and even tooth loss. Instead of a smoke break, consider taking a quick walk, chew sugarless gum, and talk with your doctor to learn several techniques that can help you quit. The team at our Boerne dental office encourages you to work on becoming aware of these habits and try your best to avoid them. Like any habit, some of these may be difficult to break. If you’re looking for help, or perhaps a new dentist in Boerne, we always welcome you to give us call. There are plenty of reasons why a tooth may hurt. When this happens, the best thing you can do is to call your dentist in Boerne as soon as possible to determine the reason why and get treatment started quickly. However, there are a few ways you can try to narrow down the cause of your tooth pain at home. Check out some of the most common symptoms and potential explanations to the most common causes of tooth pain. Possible Cause: There’s a good chance you may have a cavity. Treatment for this incredibly common dental problem is easy as long as you seek treatment quickly. If left untreated, a cavity can progress into an infection, also known as an abscess. If a cavity isn’t to blame, you may have some gum recession brought on by rough brushing or perhaps a loose dental restoration. 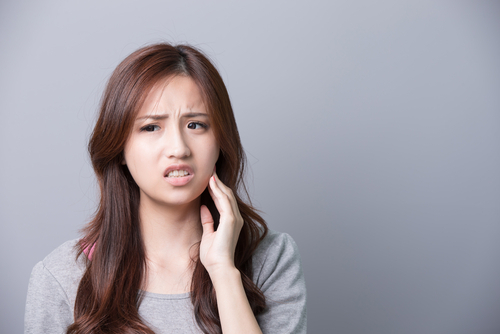 Possible Cause: If your tooth pain is more commonly experienced when pressure is applied, you could again have a cavity, or perhaps even a cracked or broken tooth. The best course of action is to see your dentist as soon as you can to see if there’s any damage to the interior of the tooth, or the pulp. If there is, you may need a root canal to reverse the pain. But don’t worry, a root canal isn’t as scary or painful as you may have thought. In fact, the procedure actually makes the pain go away. Possible Cause: This type of jaw or tooth pain is typically a result of chronically clenching or grinding teeth (bruxism). The constant friction between teeth can wear away tooth enamel and leave your teeth feeling sensitive. What’s more common, however, is the jaw pain associated with grinding. Grinding may also contribute to severe headaches or sinus pain. Your Boerne dentist should be able to identify if grinding is a problem for you and recommend the appropriate treatment. Most of the time, a custom nightguard is the go-to solution. Any tooth pain is usually a sign of a problem, and even if you suspect nothing serious is going on, we recommend seeing your dentist to make sure. After all, it’s better to be cautious than to let tooth pain go and end up with a larger issue. Looking for a caring dental team to help? Give our dental office in Boerne a call to schedule an appointment today. We’re always happy to help!